We are ready to handle your emergency septic repair needs, quickly, professionally and affordably. Call us any time, day or night, to meet your emergency septic repair needs in Bonney Lake. Our emergency septic repair services are designed to suit the needs of homeowners, commercial and municipal clients, and oil field and construction industry. We are available 24/7 for emergency septic repair and our estimates are FREE of charge. Regular septic system care and maintenance is essential to preventing unexpected septic problems. 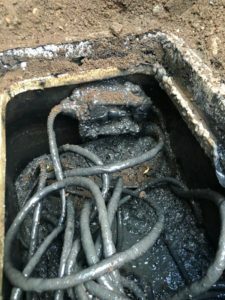 Without a periodic maintenance, scum and sludge can buildup in the tank, causing the drainfield to clog. Think you need an emergency septic pumping & cleaning in Bonney Lake or the nearby areas? We are fully equipped to handle nearly any emergency septic pumping & cleaning need. We have safe, efficient and powerful equipment to pump and clean septic tanks. Do not risk property damage or sewage backup. Call us for emergency septic pumping & cleaning. Our commitment to environmental solutions means all the wastewater will be disposed of legally and correctly. Our friendly, knowledgeable team is available to address your questions and/or concerns and ensure you are fully satisfied. Need an emergency septic pumping & cleaning? Emergencies can occur when you least expect them to. That is why we are available, 24 hours a day, 365 days a year, to handle emergency septic pumping & cleaning service calls in Bonney Lake. We are emergency septic pumping & cleaning specialists. We work hard to restore the functionality in your septic system with top quality equipment and methods. 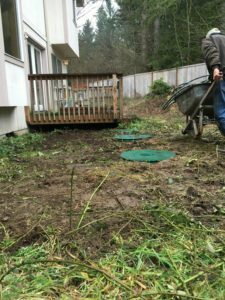 To know more, or to schedule an emergency septic repair service in Bonney Lake or the nearby areas, feel free to call VAC-TEC LLC at (206) 339-0039. We cannot wait to serve you!